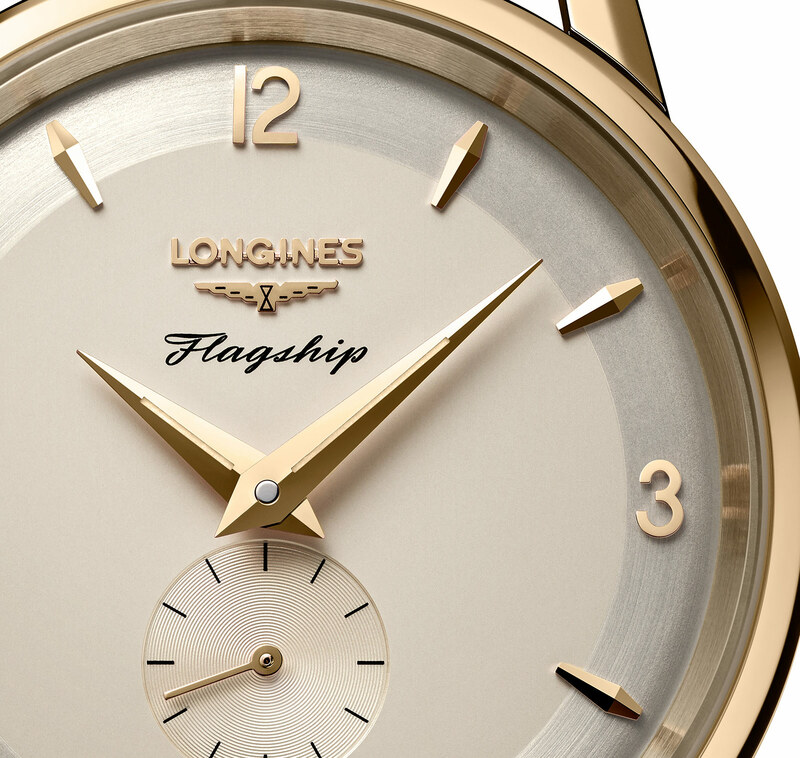 Introduced in 1957 as a top of the line model, the Longines Flagship is now 60 years old. To mark the occasion Longines reached into its archives for a late 1950s specimen of the watch, which was then reproduced as the Flagship Heritage – 60th Anniversary 1957-2017. Intriguingly, the historical watch that served as inspiration for the remake was the choice of brand ambassador Kate Winslet, the Oscar-winning British actress. Winslet, best known for her role as Rose in Titanic, picked out the watch during a visit to the Longines factory in St. Imier. 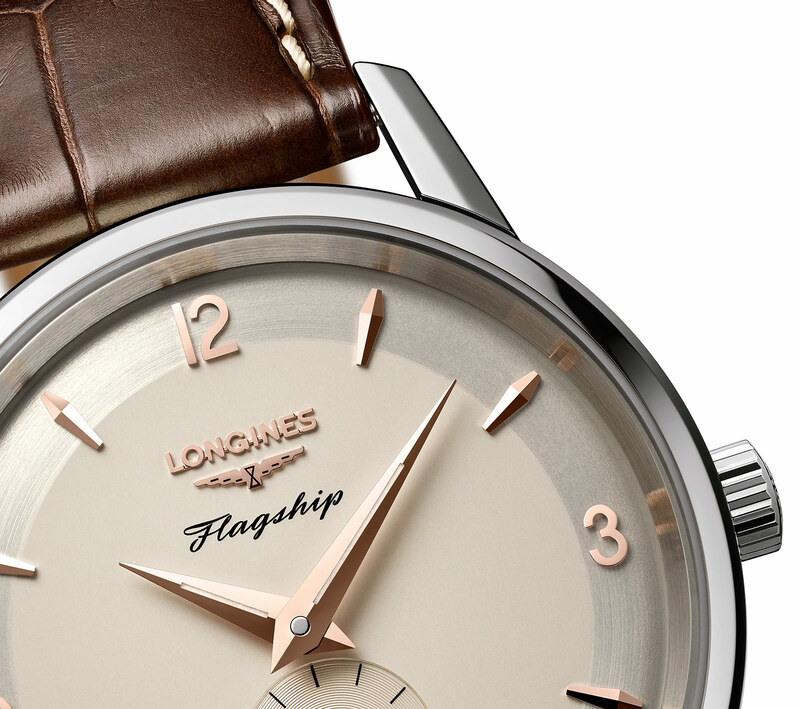 The remake is appealingly faithful to the original, featuring a two-tone silvered dial with applied hour markers that are either Arabic numerals or arrowheads – even the Longines logo is applied. Both the hands and hour markers are plated in gold to match the case metal; and for the steel version they are plated rose gold. While larger than the original at 38.5mm in diameter, the remake is nonetheless modestly sized by modern standards. The solid case back is stamped with a relief caravel, just as on the 1950s original. Inside is the automatic calibre L609, essentially a version of the ETA 2892. 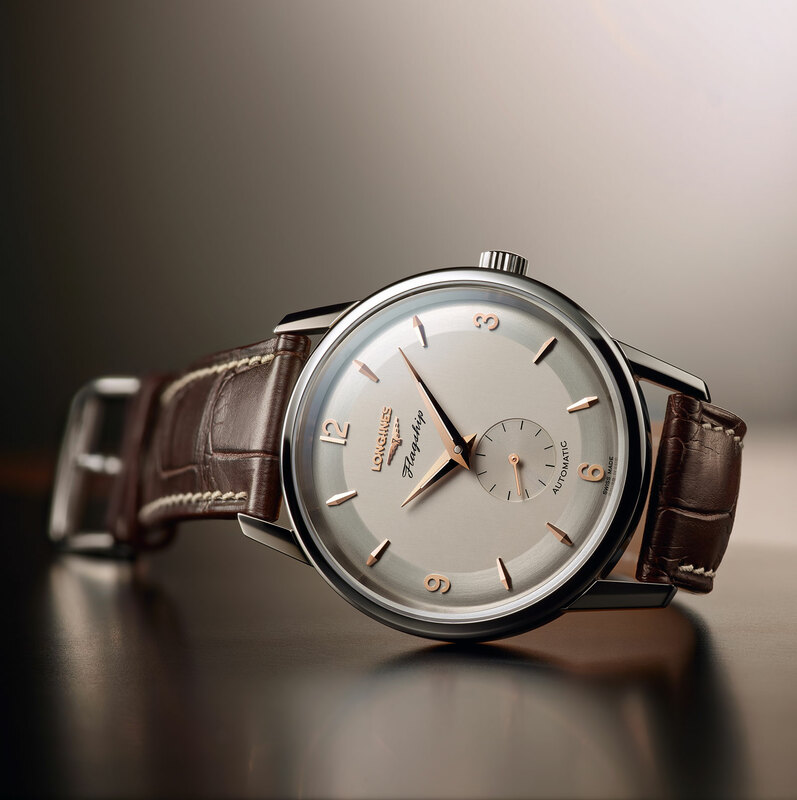 The Flagship Heritage 60th Anniversary is available in stainless steel (ref. 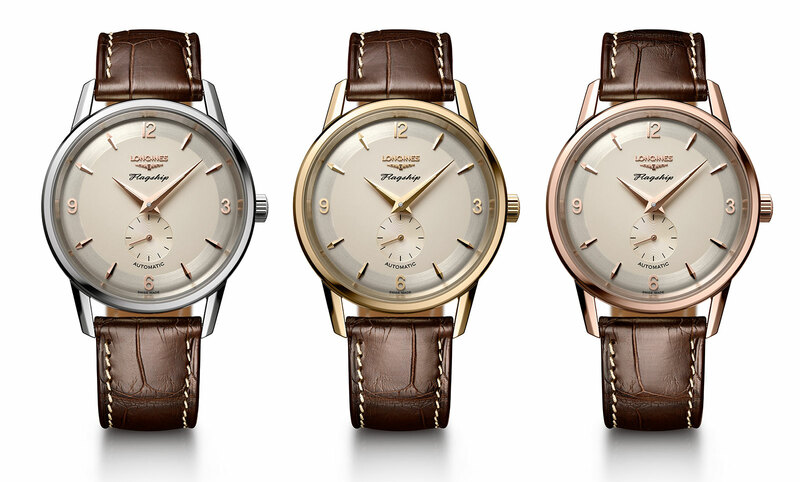 L4.817.4.76.2), limited to 1957 pieces and priced at S$3040, or about US$2160. It’s also available in yellow gold (ref. L4.817.6.76.2), or rose gold (ref. L4.817.8.76.2), with each of the gold models limited to 60 pieces each, priced at S$11,930, or about US$8490. Update February 25, 2017: Pricing in Singapore dollars added.